The French automotive brand partnered up with Central Saint Martins for the second year in a row to host the Life Designed competition, involving the school’s MA industrial design students. The results are currently on display as part of an installation at designjunction outside the university’s Kings Cross campus. “This year students have been asked to consider ways in which cars may be used and shared in the future, when owning a car outright may become less prevalent,” Renault said. 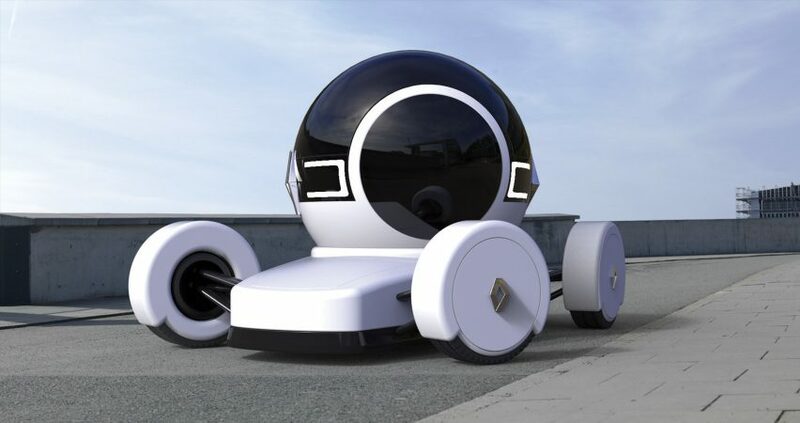 The competition encouraged the students to consider the future of autonomous and modular car design for an urban infrastructure that is “changing quickly and dramatically” – a trend that was much-discussed at the Frankfurt Motor Show last week. 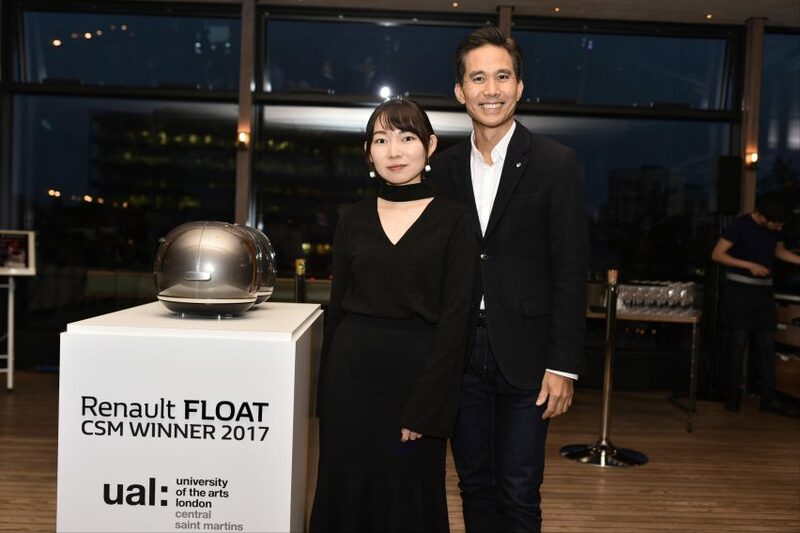 Cai’s car of the future, The Float, was announced as the winning concept by Renault’s vice president of exterior design Anthony Lo last night at designjunction. 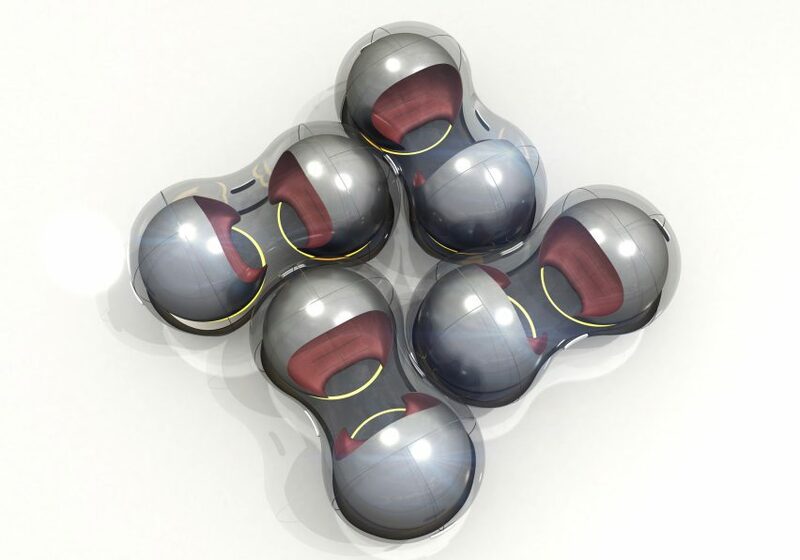 With autonomy fast becoming a reality, Cai envisioned a car that also works as a social space – connecting people through “tessellation”. The pod’s exteriors would be made from glass to offer travellers expansive views of their surroundings. Seats can be fully rotated, and the opacity of the glass can be altered to suit privacy needs. 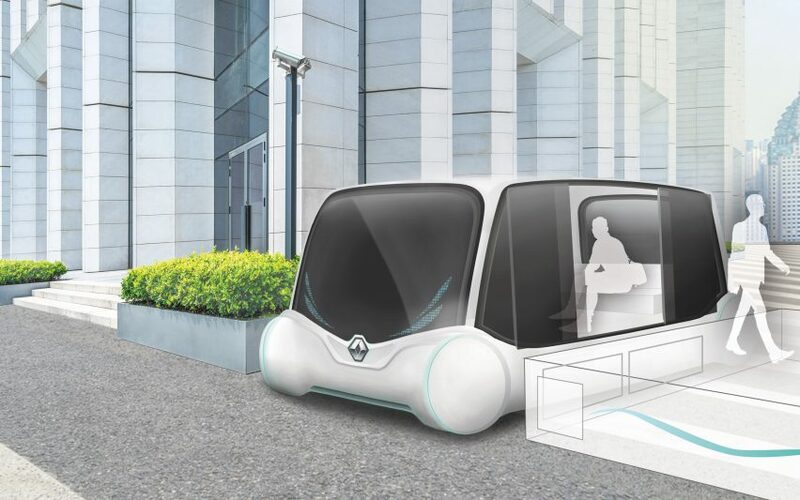 The 23-year-old industrial design student from Shanghai also designed the car with sliding doors akin to those on London’s underground tube trains. The doors open up to swivelling seats, making entering and leaving the pod as easy a transition as possible. 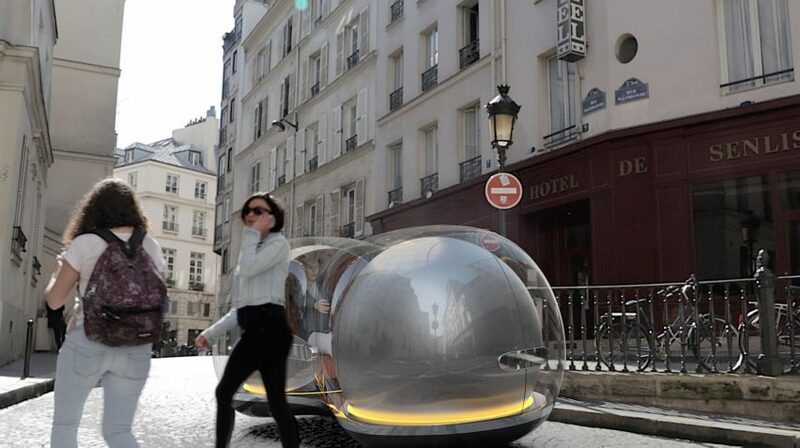 Runner-up Stephanie Chang Liu’s concept also envisions a vehicle for social, shared transport. Her Flo design features three separate vehicles – one for the transportation of goods, one for personal transport, and one for shared transport – to ensure a “constant flow of goods and people across a city”. 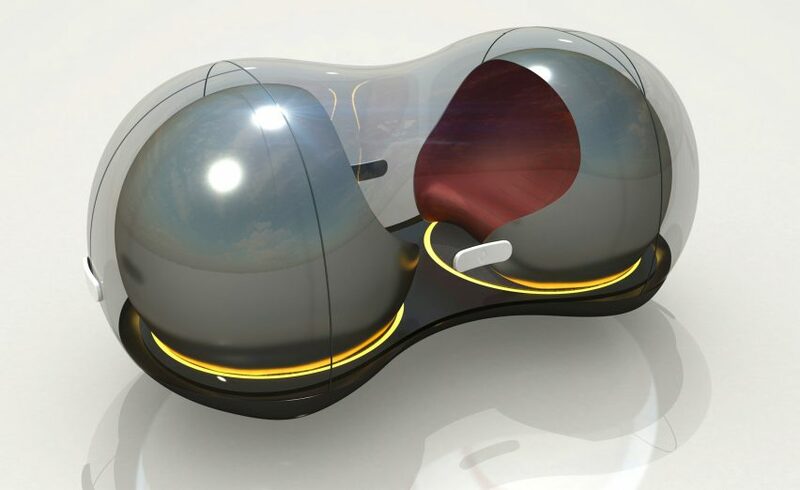 Tuna Yenici’s Vue concept envisions an “emotional bond” between passengers and their cars, inspired by the relationship between humans and their pets. The imagined vehicle would greet the owner when first entering the car, and “will be sad to see the owner go” at the end of the journey. 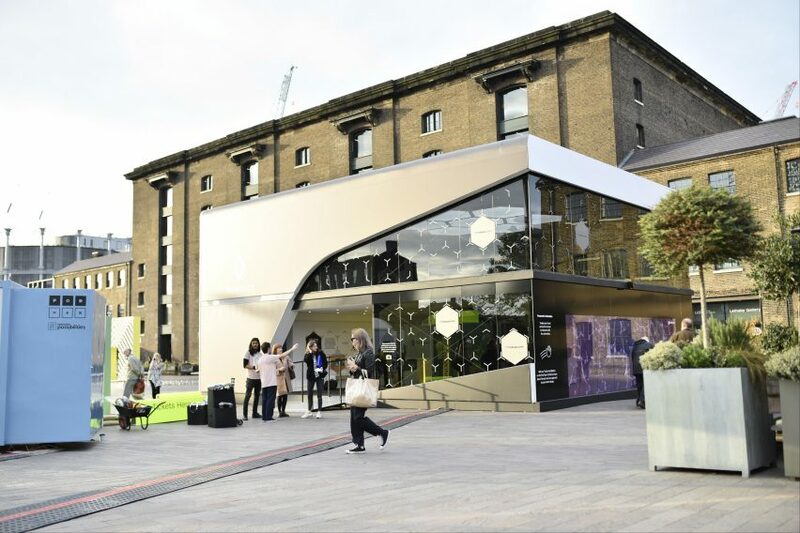 A temporary two-storey structure has been built to house the Life Designed installation in Granary Square, showcasing Cai’s winning design alongside a scale model of Renault’s concept car TreZor, shown in the UK for the first time. TreZor, first seen at last year’s Paris Motor Show, is Renault’s electric coupé concept car with autonomous driving capacities. The two-seater vehicle is entered by a sliding roof instead of doors, which opens up to a red leather interior. The Life Designed installation will be open to the public in King’s Cross from 21-24 September during London Design Festival. 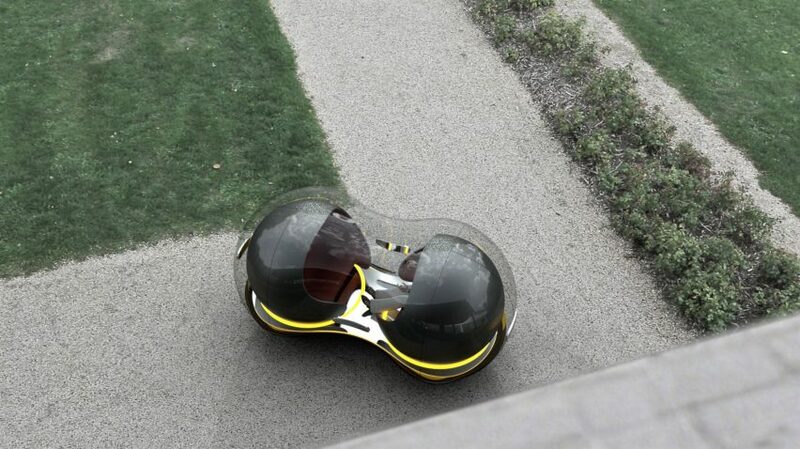 Be the first to comment on "Central Saint Martins students envision Renault’s “car of the future”"